Gosforth is a popular, well-to-do, residential district located north of Newcastle City Centre and straddling the Great North Road. There is a superb selection of houses and flats to rent in Gosport. Gosforth is home to the Regent Centre business complex, which houses a number of prestigious organisations including HMRC. Locally there are a range of shop bars and restaurants and excellent transport links including buses and metro to the city centre and the coast. In Gosport’s north-west corner, the new suburb of Newcastle Great Park is eight years into a ten to fifteen year building project. As a result there will be even more properties to let in Gosforth in coming years. The Great Park village centre is currently under development and will comprise a nursing home, private hospital, hotel, superstore, community centre and public house. Families seeking rental properties in Gosforth should note that the area offers a comprehensive selection of educational establishments from Pre -school to Sixth Form. 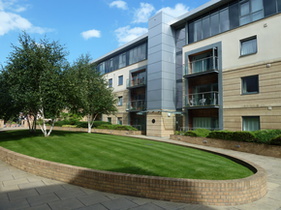 Gosforth offers both public and private educational options. Talk to KIS lettings for more information on homes to rent in Gosforth.